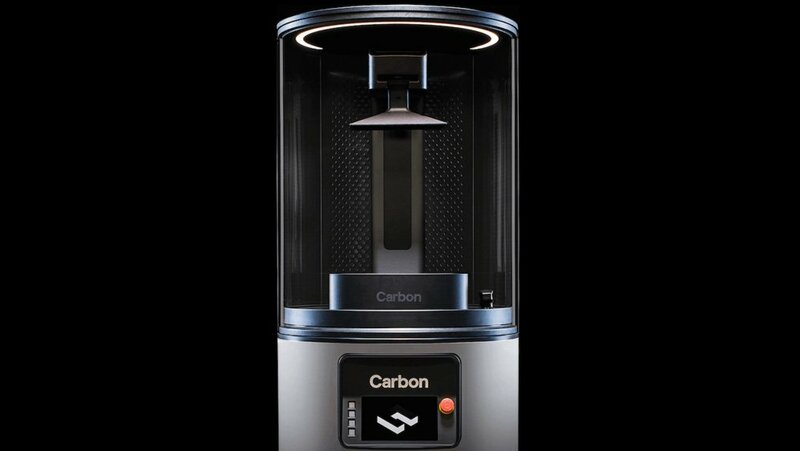 Paragon Rapid Technologies, 3D printing specialist and a customer of AMFG, has announced its partnership with 3D printing manufacturer Carbon, to bring the company’s proprietary Digital Light Synthesis (DLS) technology to the UK market. 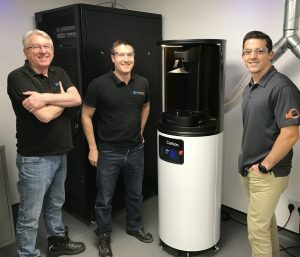 The partnership makes Paragon Carbon’s first UK production partner, and will enhance Paragon’s capacity to manufacture end-use parts through additive manufacturing. It is also the latest in a series of partnerships for Carbon, which sees the US-based company further expanding the use cases for its technology. But what is Digital Light Synthesis? And in what ways can it revolutionise additive manufacturing? Digital Light Synthesis uses Carbon’s proprietary CLIP (Continuous Liquid Interface Production) technology to manufacture durable and high-quality parts. In contrast to other 3D printing methods, DLS works through a photochemical process by projecting light through an oxygen permeable membrane into a vat of UV-curable liquid resin. A programmed thermal curing bath or oven is used to set the mechanical properties of the part in order to strengthen it. It is through this process that engineering-grade parts can be produced more quickly than many other manufacturing processes. DLS technology eliminates the need for both tooling and prototyping, allowing many iterations of a product to be created before the final version is produced. Furthermore, hundreds and even thousands of parts can be produced with DLS —much more quickly than with other 3D printing methods. The speed of DLS technology therefore enables a faster time to market. DLS technology also produces parts with mechanical properties, high resolution and surface finishes that rival injection-moulded plastics. The heat treatment ensures that parts are strong and durable, and on par with injection-moulded plastics. Interestingly, the parts produced from DLS technology are isotropic, meaning that they possess equal properties in all directions — something that is not common in many 3D printing processes. A wide range of materials can be used with DLS technology, such as Rigid Polyurethane (RPU), the toughness and rigidity of which makes it similar to ABS and a good replacement for nylon, and Elastomeric Polyurethane (EPU), which is highly elastic and tear resistant. So how is DLS technology impacting the manufacturing industry? Digital Light Synthesis has the potential to disrupt the traditional product development cycle, which ordinarily sees products go from design, to protoyping and tooling, to final end-product. With DLS, the need for prototyping and tooling can be all but eliminated, allowing product development to go from design straight to production. 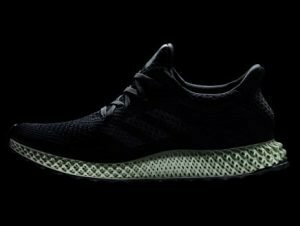 The elimination of tooling requirements and prototyping can be seen in the case of adidas, who partnered with Carbon last year to produce custom, high-performance midsoles for its Futurecraft 4D sneakers. Adidas used DLS to manufacture shoes with variable properties across the midsole with the aim of improving shoe performance across a range of sports. Through the process, adidas was able to test midsole performance in the design stage, thereby removing the need for prototyping. Adidas now aims to produce 100,000 pairs by the end of this year. Also this year, Carbon announced its partnership with Incase to manufacture protective cases for mobile devices. The partnership will see Incase using Carbon’s M2 3D printer and DLS technology to create complex elastomer lattice structures, enabling the production of stronger, lightweight and impact-resistant protection solutions. So could DLS be the next step in making additive manufacturing ready for mass production? The answer is as yet unclear, but what is certain is that Carbon’s latest partnership with Paragon points to DLS technology becoming a revolutionising force in the way products are manufactured.